The 1959 BMW 507 Roadster originally owned by King Constantine II of Greece will be on offer at the Bonhams Monaco 2018 sale. A 1959 BMW 507 Roadster, originally owned by King Constantine II of Greece, the final king of Greece and godfather to Prince William, is to be offered at the Bonhams Sale Les Grandes Marques à Monaco on 11 May 2018. 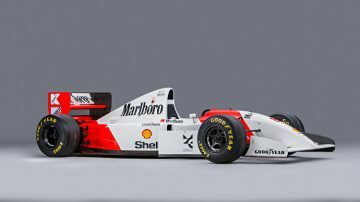 The pre-auction estimate is a whopping €2,100,000-2,600,000. Bonhams previously announced the 1957 BMW 507 Roadster owned by John Surtees for the Goodwood Festival of Speed Sale in the UK in July 2018. NOTE: This BMW was withdrawn from the Monaco sale and is likely to appear at a Bonhams auction toward the end of 2018. This 1959 BMW 507 Roadster, chassis 70227, estimate €2,100,000-2,600,000 ($2,600,000-3,220,000) on offer at the Bonhams Monaco 2018 sale was delivered new to King Constantine II of Greece in 1959. 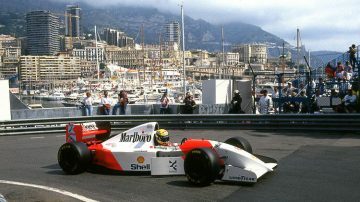 No further details have been released on the car yet but the high estimate hints at superb condition. King Constantine II was the final king of Greece (for the time being), reigning from 1964 until 1973, and was deposed following a referendum in 1974 in which the Greek people voted overwhelmingly in favor of a republic. He remained in exile from his homeland for nearly 40 years after the vote, and only returned to live in Greece in 2013 where he remains to this day. 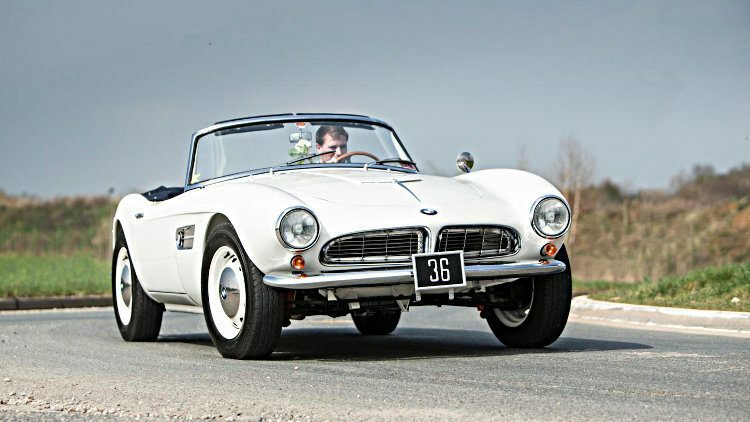 The BMW 507 is widely recognized as the car that re-defined the German marque and firmly established it as a creator of top-end luxury vehicles. It perfectly combines striking elegance with sporty performance and has been favored by celebrities since its release in 1956; famous owners have included Elvis Presley, John Surtees, Fred Astaire, Hans Stuck, Ursula Andress and, of course, King Constantine II. Elvis Presley’s BMW 507 was recently restored by BMW Classic and is usually on display at the BMW factory in the USA. The 1957 BMW 507 Roadster that John Surtees owned from new until his death are on offer at the Bonhams Goodwood Festival of Speed sale in July 2018. It is not surprising that King Constantine opted for such a sporty car, as he is a very able sportsman. He served in all three armed services in Greece, and won an Olympic gold medal in sailing – the first Greek gold medal in the sport since 1912. The 507 was designed by Albrecht von Goertz or ‘The Count,’ an aristocratic German designer also responsible for the BMW 503 – the first European convertible with an electrically operated top. BMW created the 507 for the burgeoning American market and was intended to fill the gap between the ultra-expensive Mercedes-Benz 300SL and the cheaper British roadsters being built by marques such as MG and Triumph. BMW originally intended to build 5,000 of the luxury sporting model, but high production costs limited them to just 252 cars – compare these low numbers to the 3.257 Mercedes-Benz 300SL created – only 217 of which were Series II models such as the example offered here. 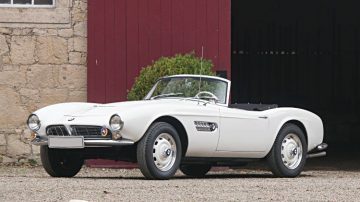 The BMW 507 Roadster Series 2 is the more generously proportioned version of the two – its smaller fuel tank offers more cockpit space. 202 of the original 252 models are believed to survive, a testament to the lasting impact of the car’s timeless appeal. The BMW 507 was never as popular new as the Mercedes Benz 300 SL Roadster – being significantly more expensive new didn’t add to the appeal either. Only 252 were ever built making these cars much more of a rarity than the Mercedes of which 1,858 Roadsters were produced. Results for BMW 507 Roadsters are significantly higher than for the 300 SL Roadster but it is often a harder car to sell at auction. Currently, these cars are likely to sell for just above $2 million. The model record was set at Pebble Beach 2017 when Gooding sold a superbly restored 1958 BMW 507 Series II Roadster for $2,750,000. An unrestored, two-owner (but only one mechanic!) 1958 BMW Roadster Series II sold for $2.2 million at the RM Sotheby’s Paris 2018 sale – the owner of this car also had front disk brakes installed, as she enjoyed using the BMW for he daily driving needs. The car with the higher celebrity provenance is the 1957 BMW 507 Series II that belonged to racing legend John Surtees that Bonhams will offer at the Goodwood Festival of Speed sale in July 2018. The Surtees connection is likely to make up for a few non-standard modifications on the car.